This EP is a small collection of works I crafted over the past couple of years in the process of working on my live show. I have been performing versions of these tracks countless times and yet never played them twice the same way. To me, they have been material in constant motion, so shaping them into a “finished” form was a risky challenge. Something I was also wary of - would it mean they would become set in stone? Would it mean I’d have to somehow “rationalise" the music - via the mind - as opposed to letting it run into the wildness of its physical live experiences? Whilst editing these tracks into a format that could be released, I realised that instead of shaping them into the mould my mind first intended to give them, I could in fact use the power they revealed each time I performed them to an audience and inject some of that energy - as much as it is possible to capture and recreate it in the studio - back into this EP. Then of course, it meant letting go on things I usually like to control more, and better. But isn’t it the power of music to let it take you where you didn’t plan to go? And how incomplete would the music be if our inspiration didn’t feed off the collective experience of dancing to music together? 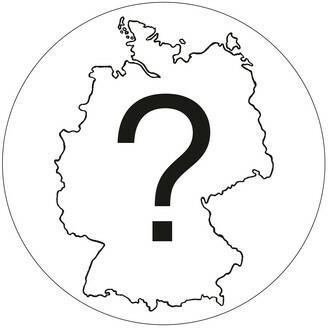 I’ve lost myself (and my twins) many times throughout the process - not only on German soil - I have sometimes landed in the wrong place, but I may have found one answer yet in the form of another question. Why are we here if we can’t dance? That reminds me of the words of Pina Bausch “Dance, dance or we are lost”. Lost in our internal struggles as individuals (or imaginary twins). Lost in a society where our relation to the other is often marked by fear, power or violence. We feel the need to resist. Yet nowadays, taking a political stance as an artist is too often being instrumentalised as another tactics or accessory to gather more popularity, reducing the political message to nothing else but a branding attempt. Isn’t it anyway the power of capitalism to assimilate everything, even contradictory or once-upon-a-time subversive voices? All to end up on a “Rave” or “Feminist” H&M t-shirt. Slogans that have been emptied of their initial force and substance, now replaced by their commercial value. I strongly doubt that more empty words poured in vain on social media will help us much. But, like Pina Bausch, like JD Twitch, I have always firmly believed in dancing as a physical, social and fundamental act that leads us to share a common space with others and embrace otherness. Standing together, dancing together when everything else forces us to divide. May the music on this EP be, I hope, a possible answer to its own title.